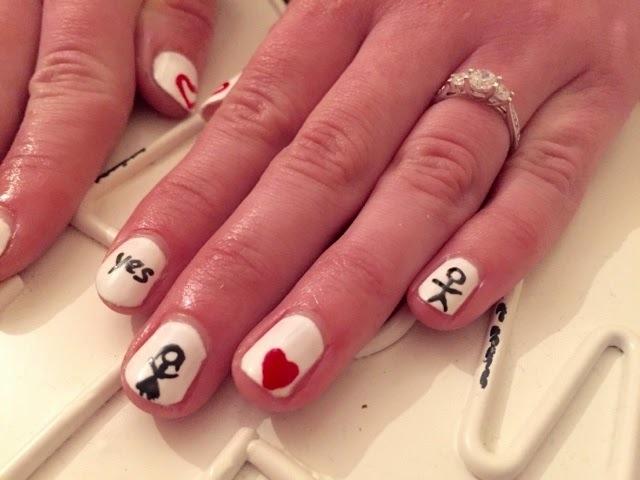 Saying &quot;Yes&quot; Nails: the fun way to announce your engagement! 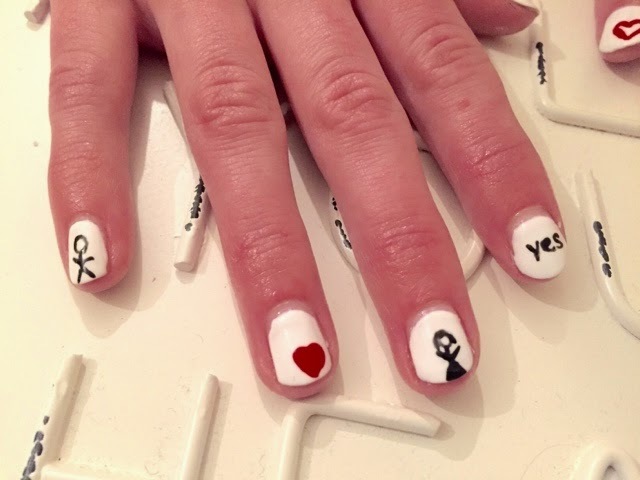 Saying "Yes" Nails: the fun way to announce your engagement! 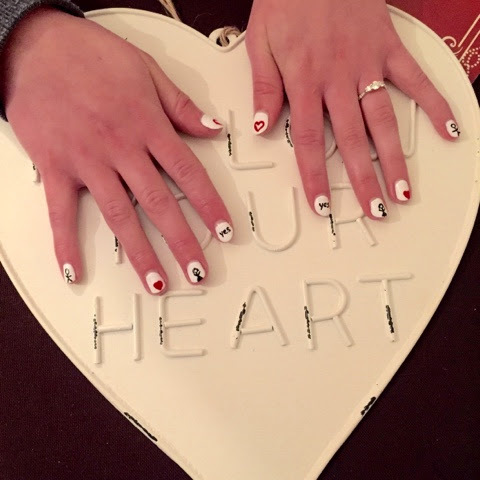 One of the things I love about my work as a Nail Technician is the opportunity to be part of the big moments in my clients lives. 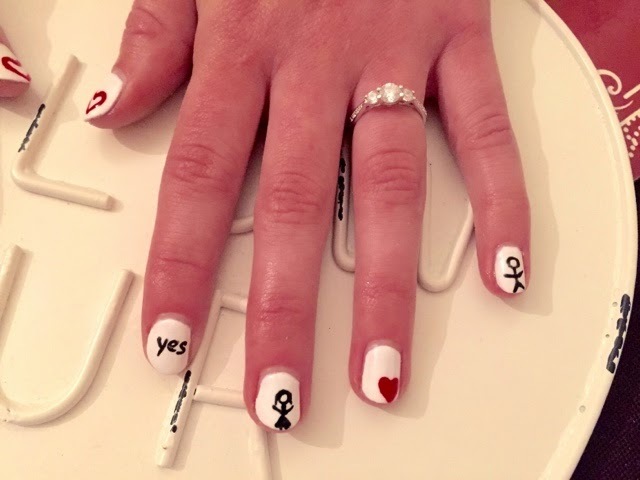 Be it Birthday, Valentine's Day, Wedding Day or, in the case of my most recent client, the social media announcement of her engagement! I love the opportunity to be just a small part of such special moments. Well why not eh? 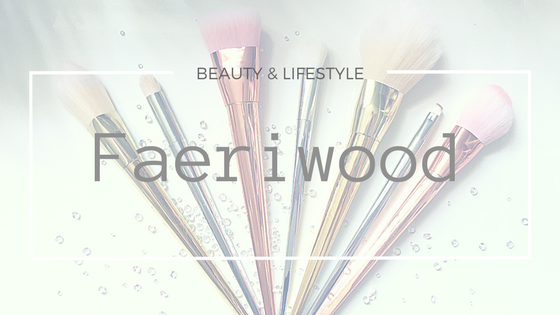 She'll be showing off that new bling quite a lot so of course a girl wants her hands to look their best! One of the best things about this brief was that she didn't want to go too girly. This was not an occasion for my love of glitters and gems. 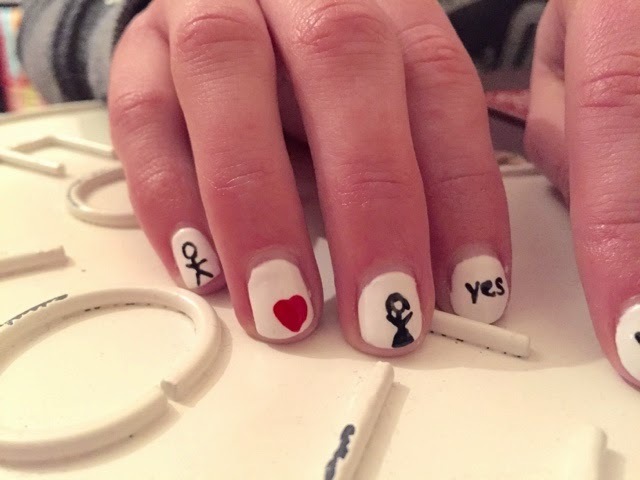 She had the idea of a little stick man and woman to represent them both (we both immediately referenced XKCD, which is an awesome webcomic if you haven't heard of it). 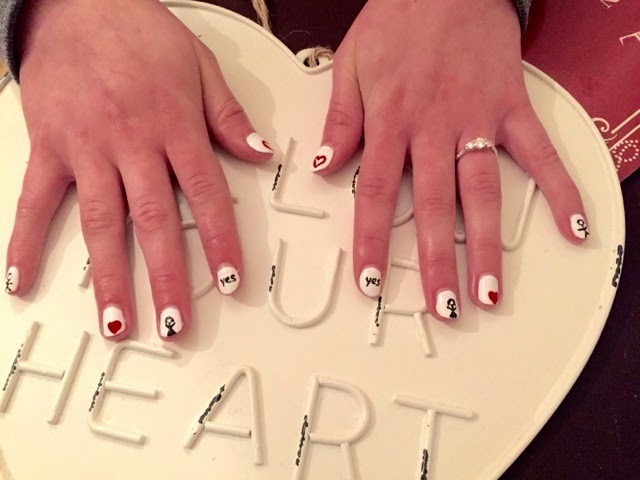 The simpler the better so we just added a couple of hearts and, just in case the message wasn't clear, her answer! I really love these. 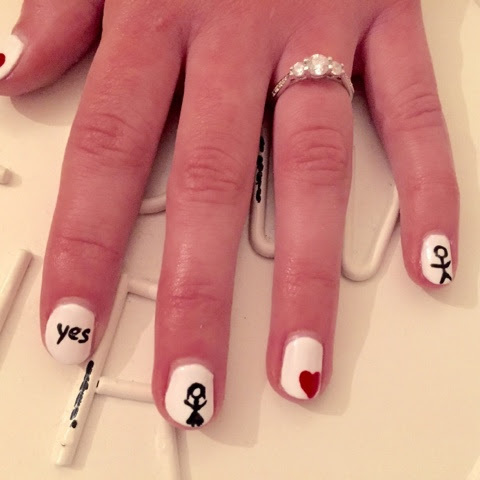 It would have been very easy to keep adding detail and sparkle but the brief was to stay as simple as possible and it really works well for the couple.